Today is Tuesday, May 16, the 136th day of 2017 in the Gregorian calendar, with 229 days remaining. Donald Trump has been President of the United States for 117 days. There are 1,346 days remaining, assuming he doesn't resign or is otherwise removed from office. 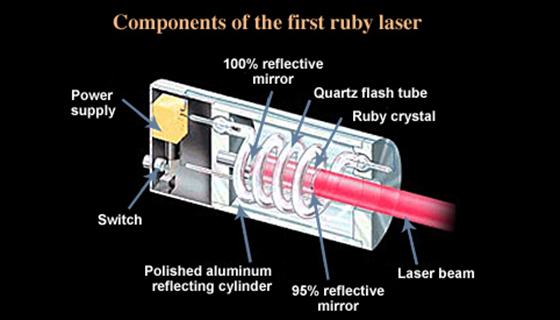 On this day in 1960, engineer and physicist Theodore Harold "Ted" Maiman fired thr first optical laser (a ruby laser) at Hughes Research Laboratories in Malibu, California. Among other things, today is also National Sea Monkey Day. Florida woman sues Confederate group over a camel bite. "All these guys picking on smart kids and calling them geeks and dweebs are going to grow up and want to know why they don't do something about the terrible state the world is in. I can tell you why. By the time they grow up, most of the kids who really could have changed things are wrecked." MSNBC may cancel Lawrence O'Donnell's 'The Last Word' and it may be because of Trump. 'Word,' second only to "The Rachel Maddow Show" in ratings, has always been on Trump's hit list, and it appears MSNBC and parent Comcast are yielding to pressure. Amazon is now worth two Walmarts. On the 20th anniversary of its IPO, Amazon's market cap stands at $459 billion, Walmart's at $228 billion. An interesting what if... We could have been Canada. And speaking of alternative histories, Dinosaurs might have lived if the asteroid had hit minutes earlier or later. He drank a cafe latte, a Diet Mountain Dew and an energy drink. Caffeine killed him. Experts warn summer will bring more ticks, deadly Powassan virus. As if Trump hasn't been enough.